If you think McCarthy is bad at making adjustments, wait till you see Adam Gase coach. From most of the reports, McCarthy only wanted the Jets job. He turned down some interviews. Time will tell, giving this coach a chance , he is a bright offensive coach . Channing Crowder on with CMB yesterday on WFAN. Take a listen, it pretty much summed up Gase’s tenure as Dolphins coach. Last edited by Blue Heaven; 01-15-2019 at 12:21 PM. Greg Williams the new defensive coordinator. Barr backed out of his deal with the Jets to stay with the Vikings. Last edited by Lt. Dan; 03-13-2019 at 12:27 AM. Not bad and didn't overpay for Bell. I like they structured his contract around incentives but it came in less than what I had expected. 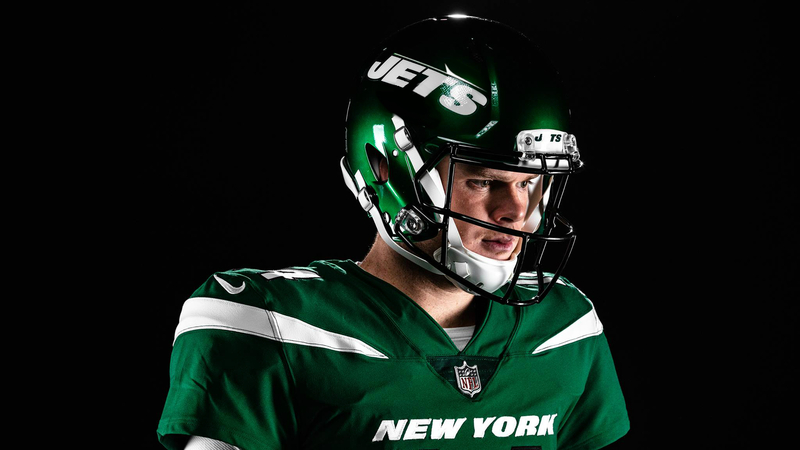 Jets unveiled the new uniforms last night and as of right now I'm not a fan and I know it's about marketing and money. I'm older so I like what they were wearing last year. I like those uniforms. Especially "New York" over the numbers. Like the green, but the jerseys are straight Madden 2007 franchise mode.